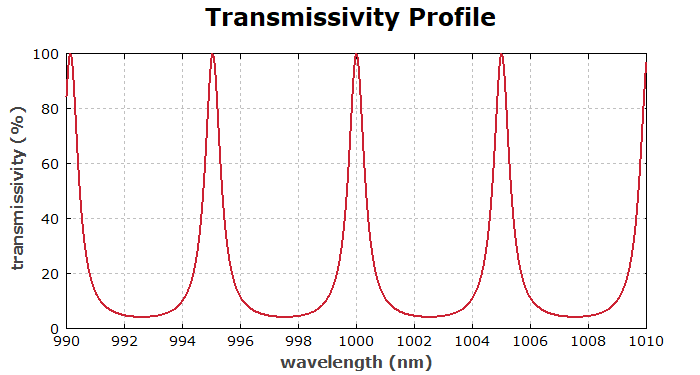 We see the transmission peaks corresponding to resonances of the structure. 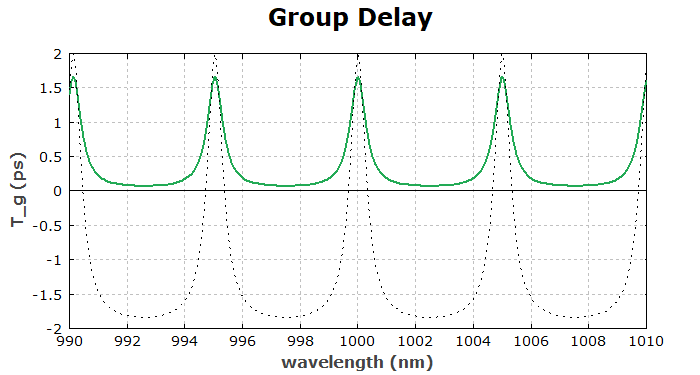 We see that the resonances move to shorter wavelengths when the etalon is tilted. 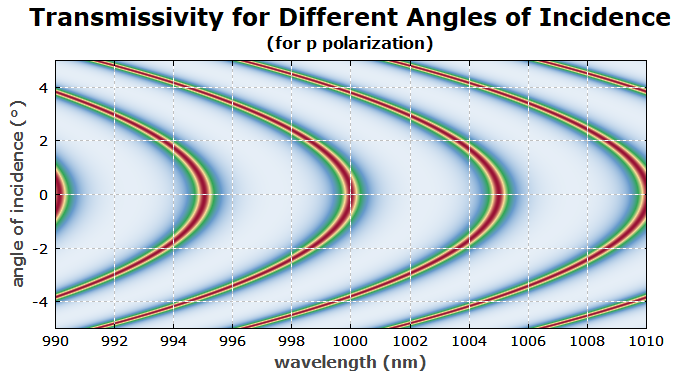 Also, we see that a Gaussian beam with 100 μ beam radius, for example, having a beam divergence of only 3.2 mrad = 0.18°, will experience a nearly constant transmissivity over its angular range, as long as the angle of incidence is not too large. 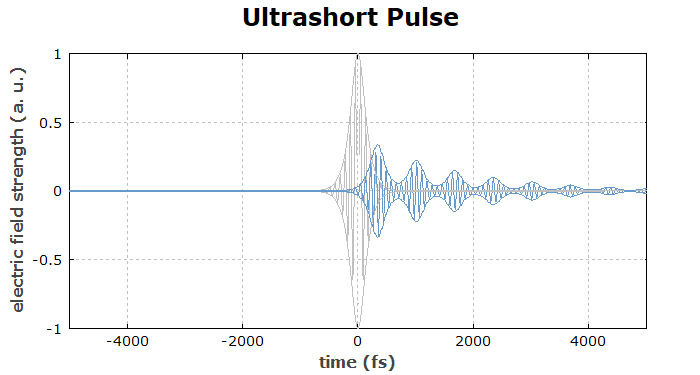 Finally, we explore what happens to an ultrashort pulse which is transmitted through the etalon. 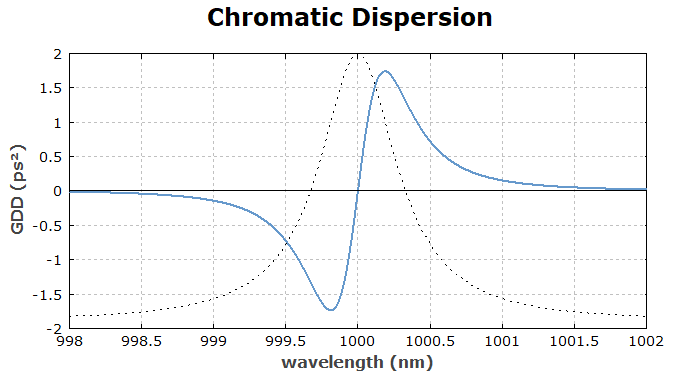 Although RP Coating does not have explicit ultrashort pulse features, its powerful script language makes it easy to simulate such things. The transmitted pulse (in blue) is delayed against the incident pulse (gray). This is because it takes several round trips in the resonant structure until the internal field is fully built up. 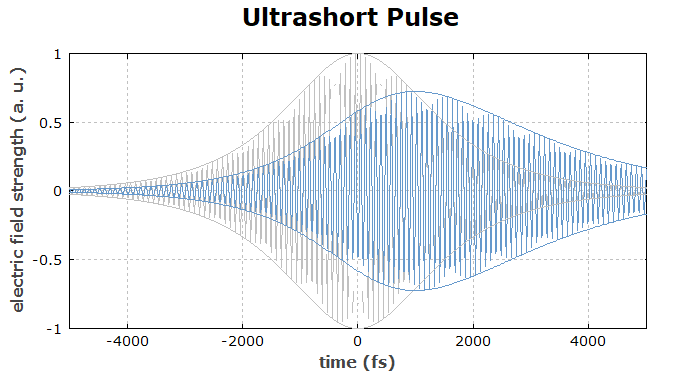 As the bandwidth of the pulse is of the order of the free spectral range, we cannot expect that we simply get a single pulse out, which is delayed by the group delay at the center wavelength.